A-1 Roadside Services proudly provides our valued customers in Brownsville, TX with quality roadside services. Our team of professionals are here to attend to your emergency and get you back on the road as soon as possible. Our friendly staff is standing by, ready to assist you whenever disaster may strike. 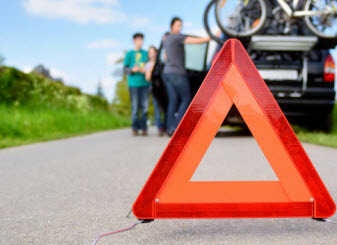 It doesn’t matter what time of day or day of the week, you are in need of roadside assistance, A-1 Roadside Services is here waiting to offer our services. Contact us for all your road side needs. 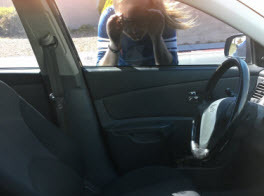 That moment when you realize your keys are inside your vehicle and you just locked the doors is more than frustrating. When you find yourself locked out of your vehicle and without a spare key, the experts at A-1 Roadside Services can get your keys out quickly and efficiently. It may be tempting to attempt to do this on your own, but there are many instances that car owners end up causing damage to their vehicle in this pursuit. It doesn’t matter if your car has automatic locks or manual locks, we can get those keys out and back into your hands. When you turn the key to your vehicle or push the start button to get a simple click, you likely have a battery issue. Perhaps you left an interior light on, or your battery is old and needs to be replaced. 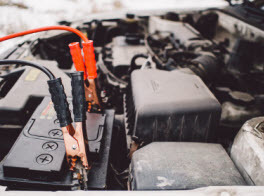 No matter the reason for your dead battery, we provide jumpstart services to get your engine back up and running. In many cases, the cost to have us replace your battery for a new one is much more cost effective that having your car towed. These is a large amount of debris on the road that can cause a flat tire. Not only that, but if you haven’t maintained your tires properly, they don’t wear evenly and will fail much sooner than those that have proper maintenance. If you are stranded on the side of the road and need someone to help you change that tire so you can carry on with business as usual, A-1 Roadside Services will provide you with prompt service to get a healthy tire on your vehicle. We have all had those times where we miscalculate the distance to the next gas station. This doesn’t always work out the way we think it will and you find yourself stranded on the road with no fuel to get you to your destination. 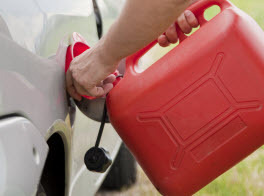 We offer fluid and fuel delivery to provide your vehicle with the necessary fluids that are required to run quickly and efficiently. A-1 Roadside Service works quickly to provide affordable, reliable roadside services to our valued customers. Our team of trained technicians have the skills needed to help you get on your way without causing any damage to your car. Call us today! © 2018 A1 Roadside Services. All rights reserved.